Ahoy, matey! Here’s your favorite app pirate back with another great find that I would like to share with all ye lads. After being in the ocean for several months, we finally made a stop to the land and guess where I headed? Aye, you’re right me good friend. I went to a shop that sells the newest gadgets. This pirate fell in love with this Android device. I bought it with me booties and showed it to me parrot friend. I have a Mac so I wondered how I could sync my new phone with my computer. If ye buckos have the same concern with Android Macintosh sync, avast ye, as I will share ye tips on how to make this happen. Let’s plunder right into it, Aye? Android Mac integration using your Google account is possible. This can help you easily transfer your address book and calendar for Mac to your Android. This may not offer syncing of other features such as video, music and images, but this is a good start for transferring data to your new non-iOS device. Ye lads can then use other apps for syncing other data. But if moving the address book contacts and calendar is your only concern, this will work well for you. Plus, it doesn’t require any download and fee. Yo ho ho! Click the Mail menu on your Mac. On the lower left corner of the window, tap the plus (+) icon. Enter the information needed including your name and your Gmail address. This will sync your Mac mail with your Gmail, which you can access on your Android. Launch your address book on Mac. Go to your Mac’s menu bar and click the sync icon. Launch iCal on your Mac. Enter your e-mail address and password on Gmail. Click the Turn Off All Alarms option. If you wish to sync other data from your Mac to Android other than your mail, contacts and calendar, don’t worry me hearties, there are several apps that you can use for this. Use this application to transfer your music, videos and images from iTunes to your Android device. You need to download and install it on your computer to automatically sync all files on your iTunes. Direct Android Mac iTunes sync is not possible so you need this application for transferring the files. You can then connect your Android device to the computer and transfer the synced files from DoubleTwist. 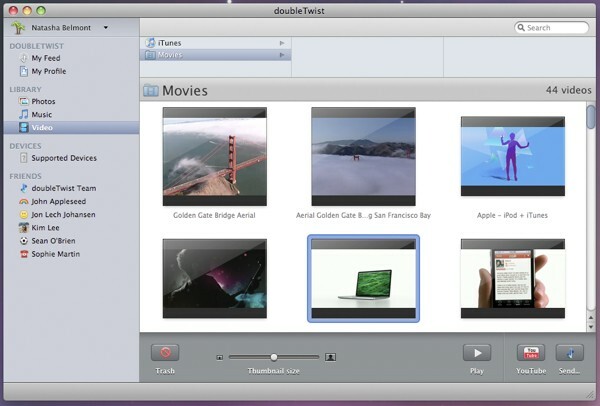 You can also download and install DoubleTwist for Android on your device to use it as your media player. It doesn’t just work like iTunes but it also looks a lot like iTunes so it will be easier for you to use it. Connect your Android device to your computer and choose USB Mass Storage for the connection. Launch DoubleTwist on your computer. Click your device on the left side panel. Click General then click the Sync button if you wish to transfer all files. Else you can manually drag files to your device. This is one of the programs that are very easy to use. 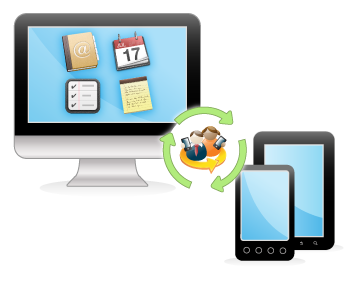 It lets you simply drag and drop applications and files to your Android device straight from your Mac. Download the program on your Mac computer and double click on the androidfiletransfer.dmg file to launch the installation window. Drag the program to the Applications folder to start using it on your Mac. 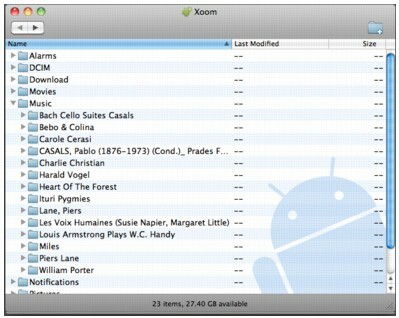 Drag the files you wish to transfer from your Mac to your Android. You can also manage your files on your Android device using Android File Transfer. This application has a free and paid version. The free version only offers syncing the contacts and calendar. However, the paid version offers more features as it does not only offer syncing of contacts and calendar but it also makes it possible to easily sync music, videos and photos. Furthermore, this program lets you manage your text messages while connected to Mac. This is a powerful application that lets you sync iTunes, address book, calendar, bookmarks and images from your Mac computer to your Android device. Transfer can be done using WiFi or USB, whichever is more convenient for you. Download the program on your computer, as well as on your Android to make transfer of files on both devices easier. This is perfect if you do not wish to use various applications for transferring different files as this program can do it all. 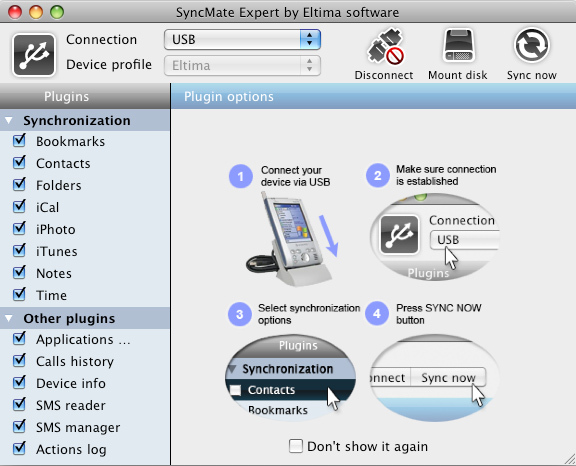 I have been using Syncmate for past few months and It works perfectly… it’s amazing! 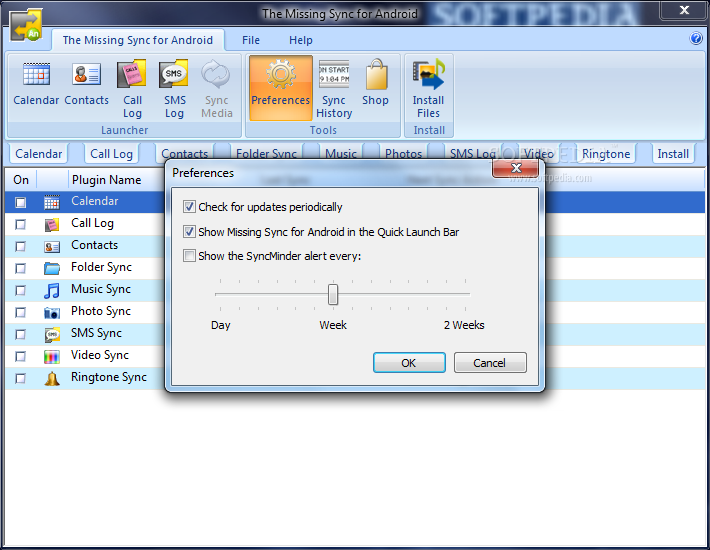 Syncmate supports sync with Blackberry, Android, Mac and Windows Phone too. you have autosync option which is really cool and the other options are also well organized inside the prog.. really recommended! !